This was written for the benefit of himself and others by the monk Thogme, an exponent of scripture and reasoning, in a cave in Ngülchu Rinchen. At the request of Garchen Triptrül Rinpoche, this translation was completed in 1999 by the disciple Ari-ma. Additional revisions were made by her in the spring of 2002. English translation copyright Ari Kiev 2002. 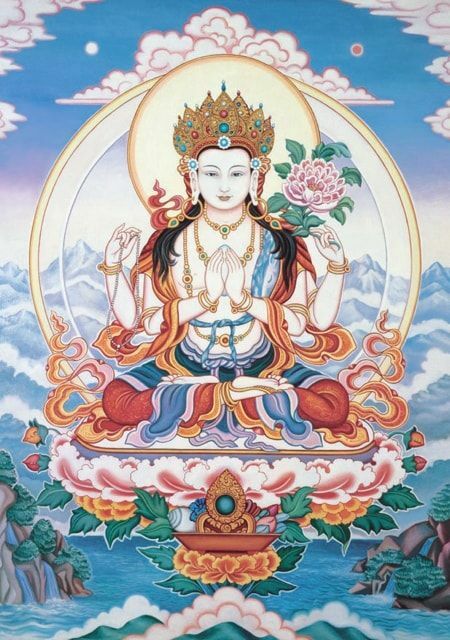 I highly recommend all my followers to carefully study and contemplate the meaning of the 37 Practices of Bodhisattvas. This text is nothing other than my substitute. This is the main heart advice I give to my students. If you manage to tune your way of acting to the 37 Practices of Bodhisattvas and never deviate from it, that will bring great benefit to you personally and to all sentient beings.